Let me tell you about my latest deep-sea adventure. I dove down into the depths of the ocean and swam with the sharks. I wrestled with a huge octopus and boldly looked into the eyes of a piranha. I rode on a whale's back and laughed at the jaws of a crocodile. 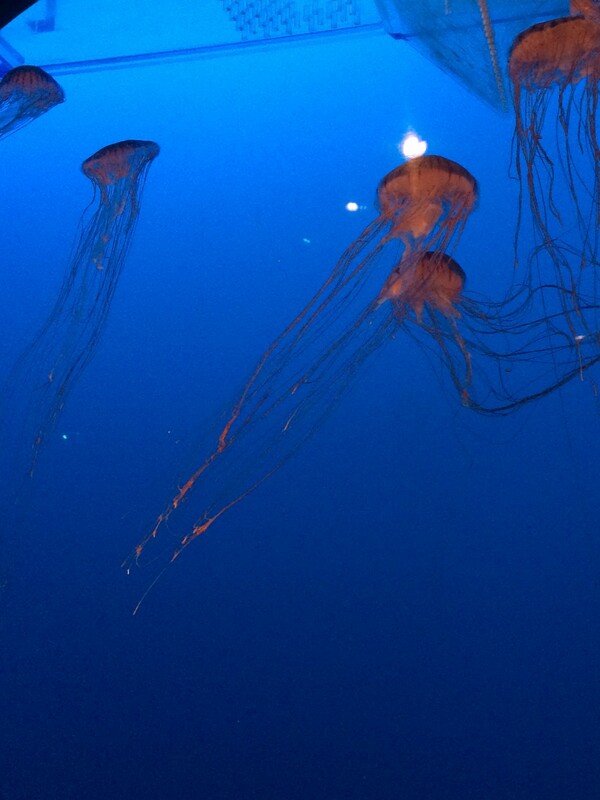 What a day I had--at the Aquarium. I've been to the Aquarium a million times, but I never get bored. I get to see all the fish and plant life you can't see from the top. I would never know what a seahorse looked like if I didn't see one at the Aquarium. Plus it has a killer whale show. The whales actually do tricks to get some fish from their trainers. Just be careful you don't sit in the splash zone. Jen dared me once and I got soaked. Boy was I sorry. See website below for current admission rates. Going to the Aquarium is like looking into a gigantic fishbowl with all the neatest fish in the world swimming around in it. I always thought seahorses were like unicorn, extinct, until I saw some bouncing in and out of the seaweed. I also get to see fish living around here. I'd sure like to dip my fishing rod in the salmon tank. The Aquarium gives me pictures of all the fish I read about, and it brings my imagination to life. One day it was pouring rain and everybody had the same idea as us: go to the Aquarium. At first we couldn't find a parking spot and then we had to wait in line to get in. 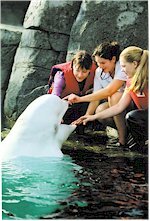 Also checkout the Greater Vancouver Zoo - Aldergrove or the Rainforest Reptile Refuge - South Surrey. Did you know the father seahorse is the one who has babies, not the mother? I know Dad likes the Aquarium because he likes fishing, and there's plenty of fish there. Mom always wants to leave before Jen and I do. She likes going for a walk on the Stanley Park seawall. How boring can you get!